Michel Rojkind and Gerardo Salinas of Rojkind Arquitectos have taken on commissions all over the world, but the work they have done in their hometown of Mexico City reflects a glowing pride of place and a genuine love for the colorful, vibrant, and notoriously untamed Mexican capital. We asked them to share ten off-the-beaten path suggestions for enterprising visitors to the Distrito Federal. 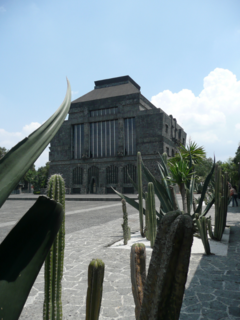 "Though Diego Rivera’s studio in San Angel is very well-known and visited, few people visit the Museo Anahuacalli, which Rivera designed. Intended to be a gift to the city, this was his last project before he died and had to be completed by architect Juan O´Gorman. It is an unusual museum charged with Diego’s vibe and an eclectic mix of architectural elements." Though Diego Rivera’s studio in San Angel is very well-known and visited, few people visit the Museo Anahuacalli, which Rivera designed. Intended to be a gift to the city, this was his last project before he died and had to be completed by architect Juan O´Gorman. It is an unusual museum charged with Diego’s vibe and an eclectic mix of architectural elements. "When President Vicente Fox inaugurated the library on May 16, 2006, he described it as one of the most advanced constructions of the 21st century, and said it would be spoken of throughout the world. 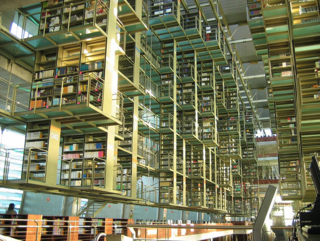 Even thought the library was plagued by many construction defects that forced its closure in March 2007, it is now fully operational and its main hall is one of the most powerful architectural spaces recently built in Mexico City." The Espacio Escultórico is an amazing collaboration of artists whose intervention with the lava-covered land creates scenery that might as well be on Mars. 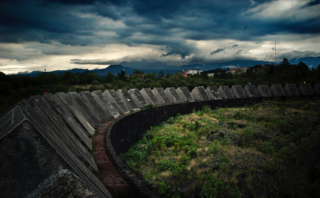 It is located on the campus of the National Autonomous University of Mexico and is not that commonly visited even by locals. The walk through the lava is definitely worthwhile and gives a sense of scale of the art piece. 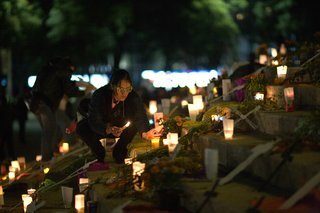 "The Day of the Dead is one of the most famous celebrations in Mexico, when families and friends come together to honor the dead. One of the best places to be part of this unique event is San Andres Mixquic, southeast of Mexico City, about an hour from downtown by car. The modern celebrations in Mixquic are an extension of the cult of the dead that existed here since pre-Hispanic times. The unique "Alumbrada"" is when families gather in the cemetery to decorate tombs with flowers and different kinds of objects. Thousands of candles are lit while families pray and sing for the spirits of their ancestors. This is the true essence of the Day of the Dead. If you happen to be in Mexico City on November 1 and 2, it is an event you will remember for a long time." When President Vicente Fox inaugurated the library on May 16, 2006, he described it as one of the most advanced constructions of the 21st century, and said it would be spoken of throughout the world. Even thought the library was plagued by many construction defects that forced its closure in March 2007, it is now fully operational and its main hall is one of the most powerful architectural spaces recently built in Mexico City. "The Mercado de San Juan is a traditional Mexican market in the historic center of Mexico City that has become the city’s only market specializing in gourmet and exotic foods. It is known for its selection of exotic meats, including venison, crocodile, wild boar, and even lion meat, as well as a wide selection of products from Europe and the Americas. Unlike other markets in Mexico City, it caters to chefs, restaurateurs, and foodies, many of whom are foreigners and have longstanding relationships with particular vendors. A jewel in the city for food junkies." "The owner gathered an interesting collection of recipes they found throughout Mexico and mixed them with some of their own to create a unique menu that gives this place its unique flavor. Located in the Colonia Roma neighborhood, it is a great place to enjoy a fantastic meal and a nice glass of mezcal." Check out the full article for four more suggestions! This small gallery in the San Miguel Chapultepec neighborhood is intended to provide a space for contemporary artists. The brainchild of the artist Gabriel Orozco and Jose Kuri with his wife, Mónica Manzutto, the gallery has garnered a lot of attention and presents the work of some of the best international contemporary artists. The very intimate space offers an escape from the chaos of the city for a few moments. 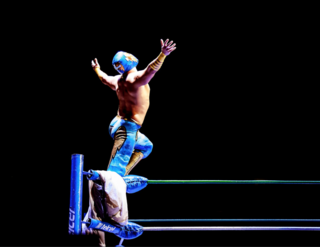 The lucha libre (professional wrestling) at the Arena Mexico is an event not to be missed on a visit to Mexico City if you happen to be here on a Friday night. A mix between a sporting event and a circus performance, it’s the ideal place to get all your work week’s stress out by yelling at the rudos (bad guys) or the tecnicos (good guys), and be amused by the interaction of the crowd with every member in the ring. The Day of the Dead is one of the most famous celebrations in Mexico, when families and friends come together to honor the dead. One of the best places to be part of this unique event is San Andres Mixquic, southeast of Mexico City, about an hour from downtown by car. The modern celebrations in Mixquic are an extension of the cult of the dead that existed here since pre-Hispanic times. The unique "Alumbrada"" is when families gather in the cemetery to decorate tombs with flowers and different kinds of objects. Thousands of candles are lit while families pray and sing for the spirits of their ancestors. This is the true essence of the Day of the Dead. If you happen to be in Mexico City on November 1 and 2, it is an event you will remember for a long time. The Mercado de San Juan is a traditional Mexican market in the historic center of Mexico City that has become the city’s only market specializing in gourmet and exotic foods. It is known for its selection of exotic meats, including venison, crocodile, wild boar, and even lion meat, as well as a wide selection of products from Europe and the Americas. Unlike other markets in Mexico City, it caters to chefs, restaurateurs, and foodies, many of whom are foreigners and have longstanding relationships with particular vendors. A jewel in the city for food junkies. 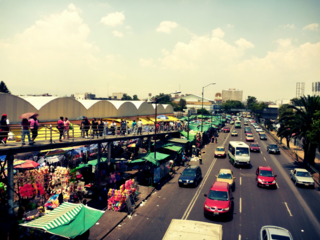 Mercado de Sonora is a city-established traditional market located just southeast of the historic center of Mexico City in the Merced Balbuena neighborhood. It was established in the 1950s with a number of other similar institutions in order to help regulate retail commerce in the city. This market has specialized in a variety of merchandise, such as pottery, party items, and live animals, but it is most notable for herbal medicine and items related to magic and the occult. If you are in the need of a limpia, or cleansing, to rid an establishment of any negative energy, this is the place to go. An experience not found in any other location. Located about ten blocks north of the Zócalo, Mexico City’s main plaza, in a neighborhood called La Lagunilla, the La Lagunilla Market is one of the largest in the city. It consists of three sections: one for clothing, one for furniture and one for foodstuffs, mostly catering to lower-income customers. On Sundays, the number of street vendors grows significantly for a weekly flea market called a tianguis, which traditionally sells used items. One section of this tianguis has developed into a market for antiques. You will not be disappointed by the variety, from furniture to the strangest and one-of-a-kind used objects sold here. There’s something for everyone. The owner gathered an interesting collection of recipes they found throughout Mexico and mixed them with some of their own to create a unique menu that gives this place its unique flavor. 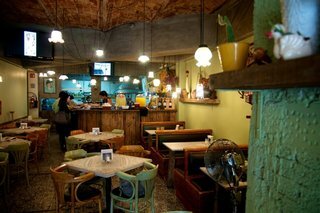 Located in the Colonia Roma neighborhood, it is a great place to enjoy a fantastic meal and a nice glass of mezcal. La Casa Tropical, created by Héctor Galvan, is where you will find the best chocolate and mezcal in Mexico. Héctor’s description of how it all begins with a flower, how cacao at sea level reaches toward the sun to pull down the bright, acidic flavors, while cacao in the mountains reaches down to the depths for earthy and complex notes describes everything about this place. Recommendations include:the cacao and sea salt butter, the palette-cleansing lemon verbana tea, the sparkling vanilla water, and the bread. La Casa Tropical is located in the Colonia Obrera neighborhood.